Ready, set… HUNT! Bring your friends and family and join the hunt around the Cape Town Science Centre and the winning team will enjoy a sweet treat. 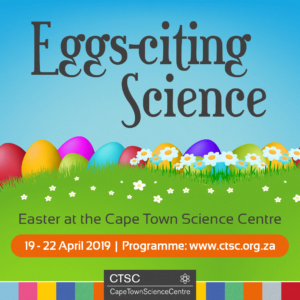 The BIG Show & Tell – Join the CTSC Team as we explore interesting and egg-citing experiments using eggs this Easter Weekend. Watch an egg dissolve, discover if an egg can float and learn how to squish a boiled egg into a bottle. Get hands-on with this oozey, gooey, sticky and super fun slime workshop. The best thing about this slime is that you can EAT IT! Did you know that the Cape Town Science Centre is host to one of only three Camera Obscuras in South Africa? 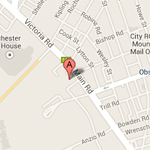 Step into our “Camera Room” and take a 360° tour of the city while standing on one spot. This is a bucket list worthy experience right on your doorstep. Listen out for announcements to join the tour. Some call it magic, we call it science. Our daily Science Shows will excite while nurturing awareness that science is a part of our daily lives.